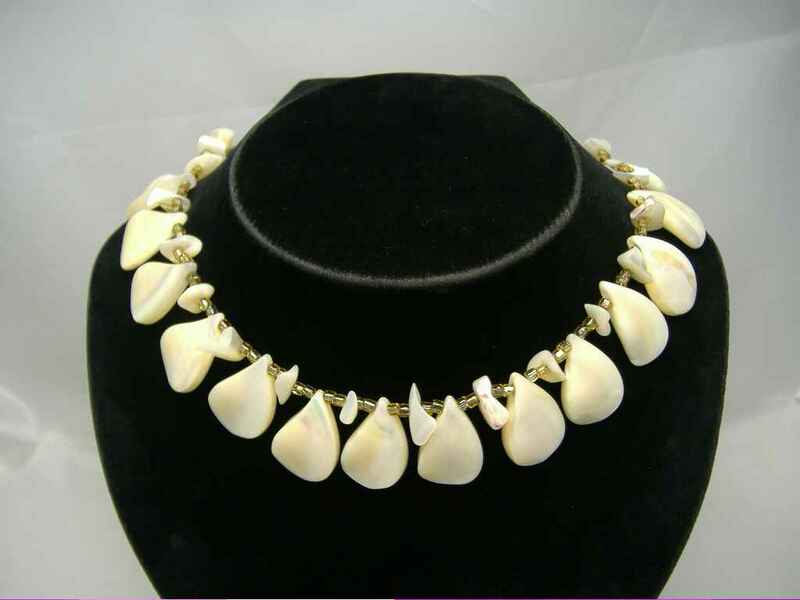 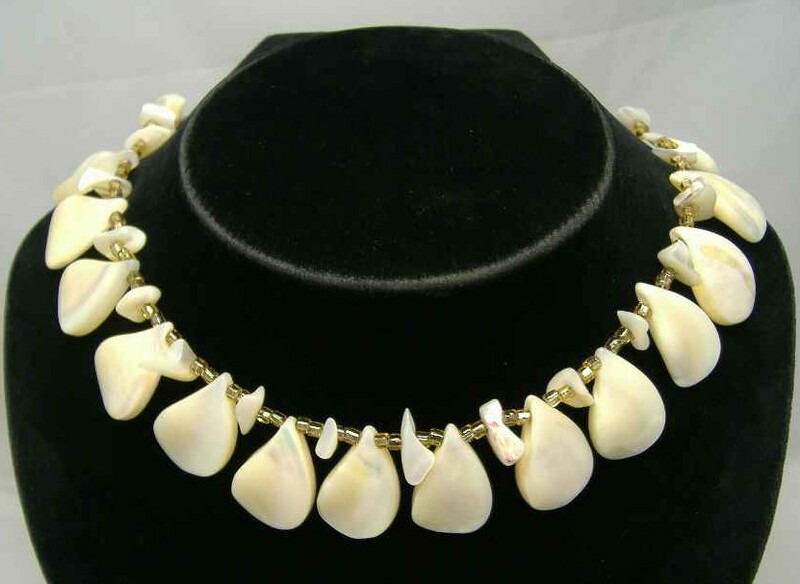 We are pleased to offer this stunning vintage 1950s real mother of pearl teardrop and glass gold bead necklace which is just stunning. 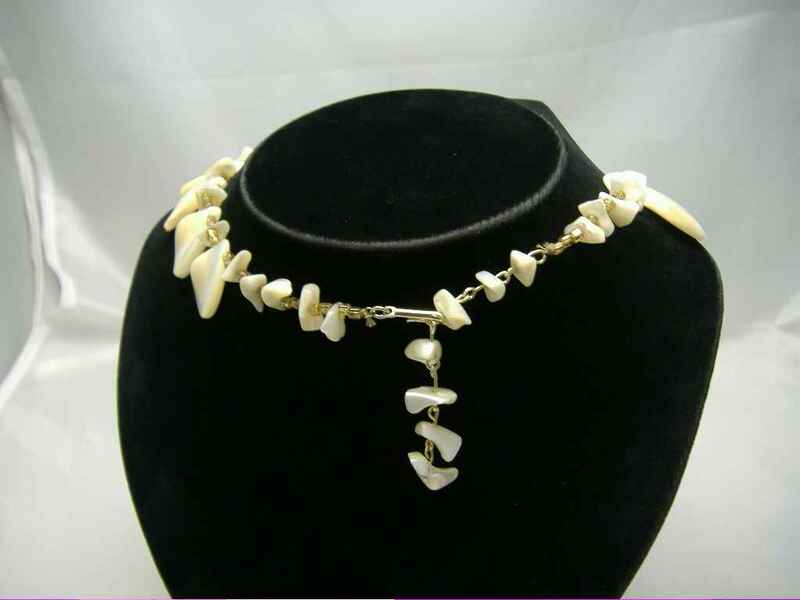 As you can see from the photos, this is a fabulous vintage necklace which is in excellent condition, looks fab on and will go with absolutely anything, don't miss out on this one ladies, great quality! 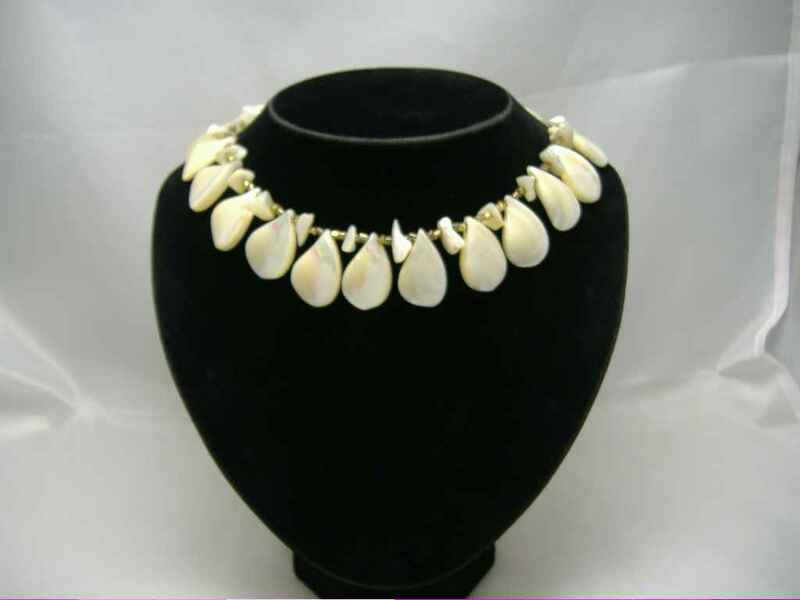 The mother of pearl teardrop sections really have a fabulous sheen to them and are really tactile, very well made - a real stunner!